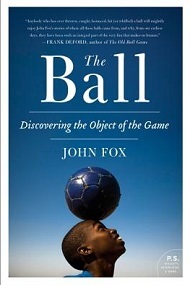 Anthropologist John Fox sets off on a worldwide adventure to thefarthest reaches of the globe and the deepest recesses of our ancientpast to answer a question inspired by his sports-loving son: "Why do we play ball?" From Mexican jungles to the small-town gridirons of Ohio, frommedieval villages and royal courts to modern soccer pitches andbaseball parks, The Ball explores the little-known origins ofour favorite sports across the centuries, and traces how a simpleinvention like the ball has come to stake an unrivaled claim on ourpassions, our money, and our lives. Equal parts history and travelogue,'The Ball' removes us from the scandals and commercialism of today'ssports world to uncover the true reasons we play ball, helping us reclaimour universal connection to the games we love.